Premium masking film film treated with unique formula that attracts overspray and reduces flaking. Wooster Silver Tip brush range is one of the most popular brushes used by trade painters throughout New Zealand. 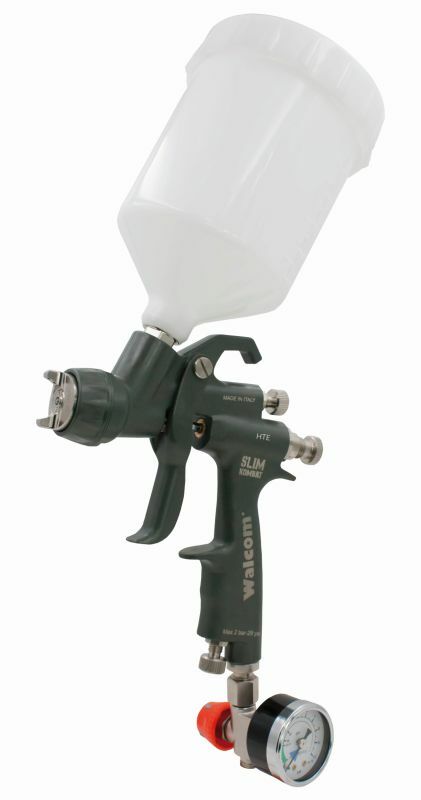 Walcom Kombat SLIM Spray Gun - Coming Soon! Ideal for spraying primers, sealers and refinish for body shop and industrial applications. New CQ Dehumidifier - Solve your paint drying issues! Drainage water pipe for continuous moisture drainage. Ferrari P4 aluminium body replica built by Rod Tempero Oamaru. Painted using a Walcom Genesi HTE gravity spray gun. Sick of your paint brush drying out while working in the hot weather? The Wooster Chinex FTP is your answer. Check out the video of the Wooster Jumbo-Koter Cage Frame in action. These are very popular with the trade painters in New Zealand. Great to move into our new purpose built office and distribution warehouse. With over twice as much warehouse space, helping us to excel in our customer service and order dispatch. With the best service in the industry, it’s good to see our new warehouse and dispatch area ready for business. Recently the team sat down and looked at what our core values are. We came up with the acronym PAINT. New Microfibre duster that fits over both Radius 360 and Trigon 180 sanding heads. Great for dusting walls, ceilings before painting. Draw string ties attach the R-Duster to the sanding head.